Before and during WWII, logistics and flexibility of options to deal with men and equipment guided technology. With the expanded use of air power, addressing the logistical needs of aircraft became imperative. Runways for bombers based in rear areas could be built like standard highways. These plans for simple construction were almost obsolete as soon as made, for the Air Corps was even then designing heavier planes which called for runways of greater bearing capacity. Constructing runways at the front and more elaborate ones farther back, as the planes being contemplated in 1939 dictated, would take a long time—long enough to interfere seriously with the striking power of the air arm. The Air Corps expressed immediate interest in news that the British and French were laying down portable steel mats as a substitute for hard-surfaced runways. In December 1939, the Air Corps asked the Engineers to develop a similar landing mat. Since practically nothing was known about the subject, the two services agreed that the Engineers would attempt to get more information from abroad, would canvass the American market for likely materials, and, after conducting field tests with loaded trucks, choose the most promising types for service tests with planes. A pierced steel plank was developed at Waterways Experiment Station, an Army Corps of Engineers research facility in Mississippi. The 21st Engineers, under the command of Col Dwight Frederick Johns, was assigned the task of investigating techniques for the rapid construction of air bases. It met expectations; and early in February 1942, the Engineers and Aviation groups agreed on a minimum of 15,000,000 square feet of mats. Thereafter demands increased rapidly. The standardized, perforated steel matting was pierced with 87 holes to allow drainage; it was 10-feet long by 15-inches wide and weighed 66-pounds; a later aluminum version came in at 32 pounds. The mats were often laid over the local vegetation, which varied depending on the location from loose straw to palm fronds. The sandwich of steel and vegetation absorbed moisture and cut the dust kicked up by heavy aircraft. During raids, sometimes the mats were hit/damaged. The Seabees constructed “repair stations” along the runway, each with foxholes for the repair crews and packages of 1600 square feet of Marston mat, the amount that experience showed was necessary to repair the damage from a 500-pound bomb. Trucks were preloaded with sand and gravel and concealed around the runway. Following a hit on the runway, the repair crews would clear away the damaged Marston mat as the trucks were brought out to dump their loads in the crater. At first the US had Marston Mats to itself, but eventually the invention was shared with its Allies, including Russia under the Lend-Lease program. Among other places, Marston Mats formed the 6,000-foot temporary runway at Morse Field – South Point, Hawaiʻi. Likewise, the Kualoa Airfield at Kāneʻohe Bay had a Marston Mat ramp. 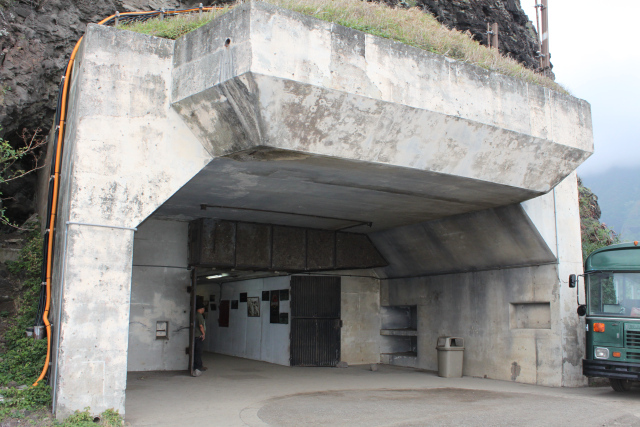 Kahuku Army Air Base started as a Marston Mat runway that was later paved. In the later ‘reuse’ category, my mother found that aluminum Marston mats made great benches and re-potting surfaces for her orchids. 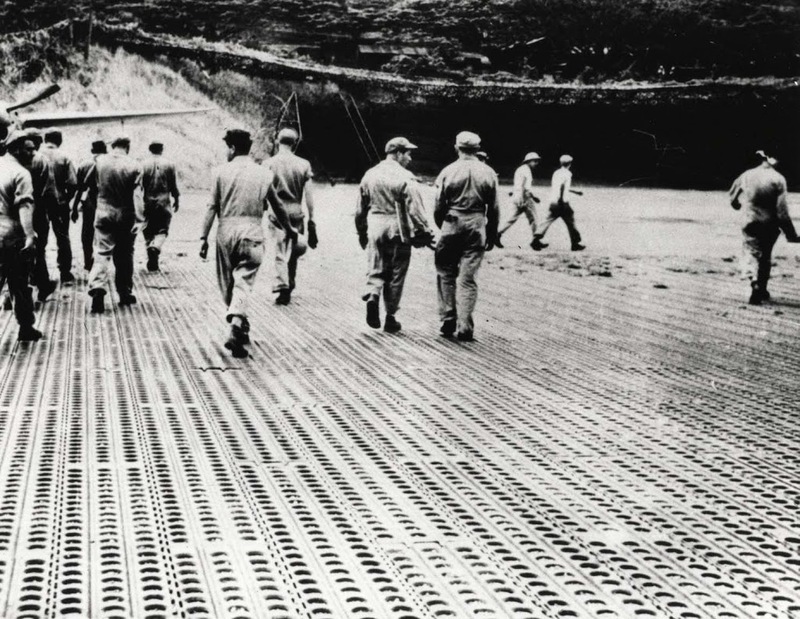 The image shows pierced steel planks (PSP) (Marston Mats) at Kualoa Airfield on Kāneʻohe Bay in the 1940. . In addition, I have added some other images in a folder of like name in the Photos section on my Facebook and Google+ pages. In 1828, the American Board of Commissioners for Foreign Mission (ABCFM) sent 20-people in the Third Company of missionaries to Hawaiʻi, including four ministers and their wives. A physician and his wife accompanied the ministers, Dr. Gerrit Parmele Judd and Laura Fish Judd. Dr. Judd was sent to replace Dr. Abraham Blatchely, who, because of poor health, had left Hawaiʻi the previous year. 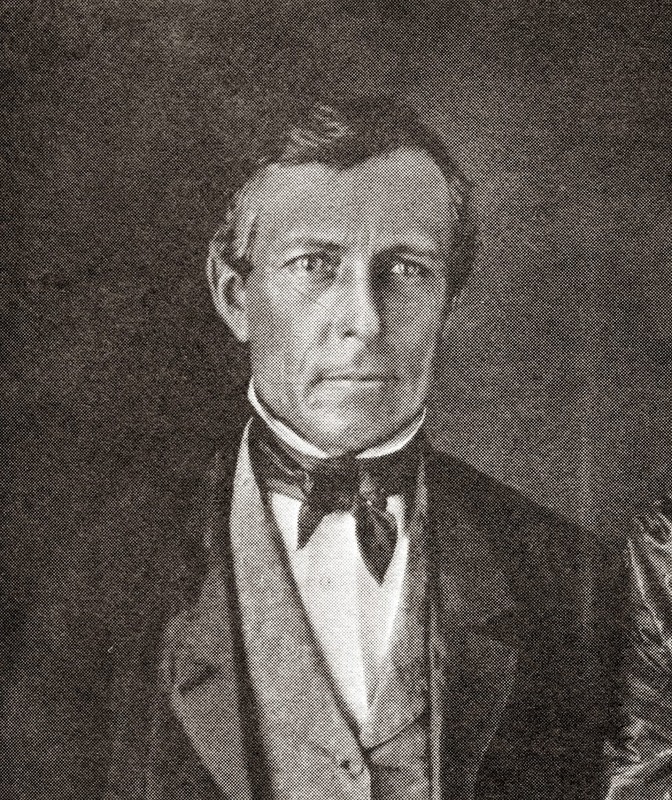 Judd, a medical missionary, had originally come to the islands to serve as the missionary physician, intending to treat native Hawaiians for the growing number of diseases introduced by foreigners. He immersed himself in the Hawaiian community, becoming a fluent speaker of Hawaiian. Judd soon became an adviser to and supporter of King Kamehameha III. In May 1842, Judd was asked to leave the Mission and accept an appointment as “translator and recorder for the government,” and as a member of the “treasury board,” with instructions to aid Oʻahu’s Governor Kekūanāoʻa in the transaction of business with foreigners. In early-1843, Lord George Paulet, purportedly representing the British Crown, overstepped his bounds, landed sailors and marines, seized the government buildings in Honolulu and forced King Kamehameha III to cede the Hawaiian kingdom to Great Britain. Paulet raised the British flag and issued a proclamation formally annexing Hawaii to the British Crown. This event became known as the Paulet Affair. Judd secretly removed public papers to the Pohukaina mausoleum on the grounds of what is now ʻIolani Palace to prevent British naval officers from taking them. He used the mausoleum as his office; by candlelight, and using the coffin of Kaʻahumanu as a writing desk, Judd wrote appeals to London and Washington to free Hawaiʻi from the rule of Paulet. His plea, heard in Britain and the US, was successful, and after five-months of occupation, the Hawaiian Kingdom was restored and Adm. Thomas ordered the Union Jack removed and replaced with the Hawaiian kingdom flag. Judd stood beside the King on the steps of Kawaiahaʻo Church to announce the news, translating Admiral Thomas’ declaration into Hawaiian for the crowd. In November 1843, Judd was appointed secretary of state for foreign affairs, with the full responsibility of dealing with the foreign representatives. He was succeeded by Mr. RC Wyllie, in March 1845, and was then appointed minister of the interior. By that time, the King had become convinced that the ancient system of land tenure was not compatible with the progress of the nation, and he resolved to provide for a division of the lands which would terminate the feudal nature of land tenure (eventually, the Great Māhele was held, dividing the land between the King, Government, Chiefs and common people. As part of the Māhele, on Judd’s recommendation, a law was passed that provided for the appointment of a commission to hear and adjudicate claims for land. Such claims were based on prior use or possession by the chiefs and others; successful claims were issued Awards from the Land Commission. In 1850, King Kamehameha III sold approximately 600-acres of land on the windward side of Oʻahu to Judd. In 1864, Judd and his son-in-law, Samuel Wilder, formed a sugar plantation and built a major sugar mill there; a few remains of this sugar mill still exist next to the Kamehameha Highway. It was much more complete in detail than the constitution of 1840, and separated the three coordinate branches of the government in accordance with modern ideas. Judd participated in a pivotal role in Medicine, Finance, Law, Sovereignty, Land Tenure and Governance in the Islands. Gerrit P Judd died in Honolulu on July 12, 1873. The image shows Gerrit P Judd. In addition, I have included other images in a folder of like name in the Photos section on my Google+ page. While still a child, Kahahana was sent to Maui to grow up into young manhood in close contact with one of the most noted courts among the different island kings – the court of his relative, Kahekili. In 1773, back on Oʻahu, Kūmahana was High Chief. For six generations, Oʻahu Chiefs had always been loyal to the Kākuhihewa family and they were looked upon as their representative on the Oʻahu throne. Here, Kualiʻi and Peleioholani (grandfather and father of Kūmahana) set a standard. Not so for Kūmahana. His weaknesses and extravagancies were enough in three short years to alienate chiefs, priests and commoners. While leadership was typically assumed via conquest or heredity, under Kūmahana, Chiefs, in conjunction with the High-priest Kaʻōpulupulu, called a public meeting to consider the situation of the country and for the avowed purpose of deposing Kūmahana. Though Kūmahana had grown-up children at the time, the Oahu nobles passed them by in selecting a successor to the throne. It was decided that Kahahana was the most available of all who could be accepted for their future ruler; this was the second king to be elected to succeed to the throne of Oʻahu, the first being Maʻilikūkahi who was his ancestor. The ahupuaʻa of Kualoa was once famed for the “ivory that drifts ashore (Palaoa-pae)”. The combination of wind, current and reef brought to the Kualoa shoreline the bodies of dead whales. Whale ivory that washed ashore was considered sacred. Kaʻōpulupulu also strongly stated that if Kahahana had obtained the kingdom by conquest, he might do as he liked, but having been chosen by the Oʻahu chiefs, it would be wrong in him to cede to another the national emblems of sovereignty and independence. Kahahana and the chiefs agreed with Kaʻōpulupulu’s arguments, decided not to comply with the Kahekili’s demands. All seemed OK, for a while. When war broke out between Kalaniopuʻu of Hawaiʻi Island and Kahekili in 1779, Kahahana had come to the aid of Kahekili. In a meeting between Kahahana and Kahekili, Kahekili deceived Kahahana by having him believe Kaʻōpulupulu had offered the government and throne of Oʻahu to him (Kahekili), but that out of affection for his nephew he had refused; and he intimated strongly that Kaʻōpulupulu was a traitor to Kahahana. Kahahana believed the falsehoods and it subsequently caused friction between Kahahana and Kaʻōpulupulu and the Oʻahu King turned a deaf ear to his kahuna’s advice and by the later part of 1782 or beginning of 1783, he arranged to have Kaʻōpulupulu killed. With his main obstacle removed, Kahekili prepared for an invasion against Oʻahu and Kahahana. He landed at Waikīkī in the beginning of 1783. Kahekili, dividing his forces in three columns, marched from Waikīkī by Pūowaina (Punchbowl,) Pauoa and Kapena to battle Kahahana and his forces. Banks had been on the Endeavour with Captain Cook on his first voyage to the South Pacific in 1768-1771. William Bligh was part of the Cook’s crew on its third voyage when it made contact with Hawaiʻi in 1778. Bligh later captained the Bounty on a voyage to gather breadfruit trees from Tahiti and take them to Jamaica in the Caribbean. There, the trees would be planted to provide food for slaves. For thousands of years, Ulu (Breadfruit) was a staple food in Oceania. It is believed to have originated in New Guinea and the Indo-Malay region and was spread throughout the vast Pacific by voyaging islanders. It was a canoe crop – one of around 30 plants brought to the Hawaiian Islands by the Polynesians when they first arrived in Hawaiʻi. Known as ‘Ulu’ in Hawaiʻi and Samoa, ‘Uru’ is the Tahitian word for the tree, ‘Kuru’ in the Cook Islands, and ‘Mei’ in the Marquesas, Tonga and Gambier Islands, scientifically, it’s known as Artocarpus altilis. The breadfruit is multipurpose, it may be eaten ripe as a fruit or under-ripe as a vegetable – it is roasted, baked, boiled, fried, pickled, fermented, frozen, mashed into a puree, and dried and ground into meal or flour. The Breadfruit Institute at the National Tropical Botanical Garden, Hawai‘i, is engaged in a Global Hunger Initiative to expand plantings of good quality breadfruit varieties in tropical regions. The institute’s director is Diane Ragone, PhD. Click here for a link to the NTBG Breadfruit Institute. More than 80% of the world’s hungry live in tropical and subtropical regions – this is where breadfruit thrives. The trees require little attention or care, producing an abundance of fruit with minimal inputs of labor or materials. Trees begin to bear fruit in three to five years, producing for many decades. Crop yields are superior to other starchy staples. An average-sized tree will readily produce 100-200 fruit per year. The Breadfruit Institute manages the world’s largest collection of breadfruit, conserving over 120 varieties. The Institute has developed effective methods to propagate and distribute millions of plants of productive nutrient-rich varieties. This initiative aims to disseminate breadfruit plants to alleviate hunger and support sustainable agriculture, agroforestry and reforestation in the tropics. The same can hold true, here at home. Centuries ago, the Hawaiians recognized breadfruit’s benefit and brought it with them to Hawaiʻi – we can learn from that. 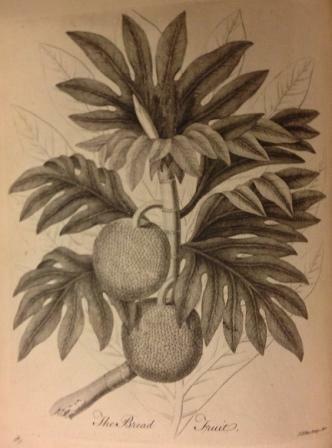 The image shows a drawing of Ulu (breadfruit) by John Ellis, 1775. In addition, I have included other images in a folder of like name in the Photos section on my Facebook and Google+ pages.